Congress has an opportunity to protect and strengthen American fisheries, and we should encourage members not to undermine decades of important progress by rolling back critical conservation provisions. As a Seattle chef and seafood lover, I was delighted to hear that Gov. Jay Inslee signed legislation into law that will phase out farmed Atlantic salmon net pens in Puget Sound. It’s a tremendous victory for the health of our native wild fish and public waters. News like this gives me hope that the prized Northwest fisheries that mean so much to us — economically, culturally and gastronomically — will thrive for future generations. Of course, protecting our fisheries takes a lot of people to participate and bring awareness. 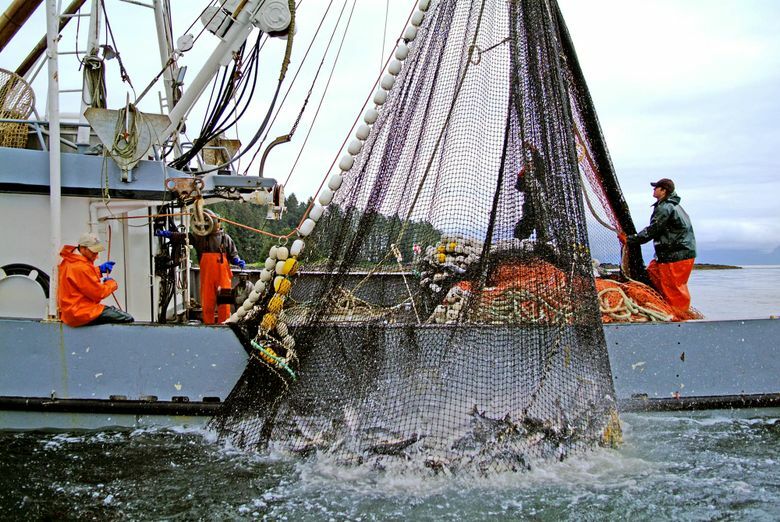 The United States has some of the world’s most well managed fisheries thanks to the Magnuson-Stevens Act (MSA), the nation’s primary fisheries law, which has protected our fisheries from collapse since it was enacted in the late ’70s. The law is an enduring legacy of our former Washington senator and the law’s namesake, Warren Magnuson. As of last year, the number of stocks experiencing overfishing was at an all-time low of 9 percent and 44 fish stocks have been rebuilt. Rebuilt populations are good news for restaurants and consumers — healthy stocks mean seeing more of our favorite fish on menus, including local coho salmon. 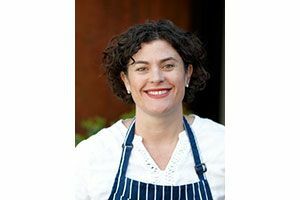 Renee Erickson is a James Beard award winning chef, author and co-owner of multiple restaurants in Seattle, including The Walrus and the Carpenter, The Whale Wins, Barnacle, Bar Melusine, Bateau and Rana e Rospo. These successes are not by accident — and they aren’t guaranteed. Basing our fishery management in science has been a key component of making our stocks more abundant and more sustainable. We need this research and data to continue if we want to enjoy fresh, local seafood in the future. The progress we’ve made under the MSA may be at risk. Over the next few months, the Senate Commerce Committee may begin considering a reauthorization of the law that could significantly weaken its critical conservation components. Thankfully, Sen. Maria Cantwell, D-Wa., a member of the committee, has a long track record of standing up for our oceans, fishermen and coastal communities and has been a strong champion of the protections for wild fish in the MSA. Today, Sen. Cantwell’s strong leadership is needed more than ever. She must work in the coming months to ensure that any bill that addresses U.S. fisheries management reduces the likelihood of overfishing by maintaining strong, science-based annual catch limits for commercial and recreational fishermen, and does not weaken the requirement to rebuild overfished populations as soon as possible along concrete timelines. The stakes are high for Washington. Commercial fishermen in our state caught and brought to port the third largest volume of fish in the country, nearly 552 million pounds valued at $321 million. As a chef, I rely on the continued abundance of local seafood — not only to feed our community, but also for the financial security of my 120 employees and the many purveyors of oysters and other fresh seafood on my menus. I feel a deep responsibility to advocate for policies that will keep seafood a strong engine of our local economy. Sen. Cantwell and Congress have a great opportunity to protect and strengthen American fisheries, and we should encourage them not to undermine decades of important progress by rolling back critical conservation provisions. Let’s encourage them to help keep our fisheries healthy, well managed and robustly stocked so we’ll be able to enjoy more delicious, sustainable seafood for many years to come.